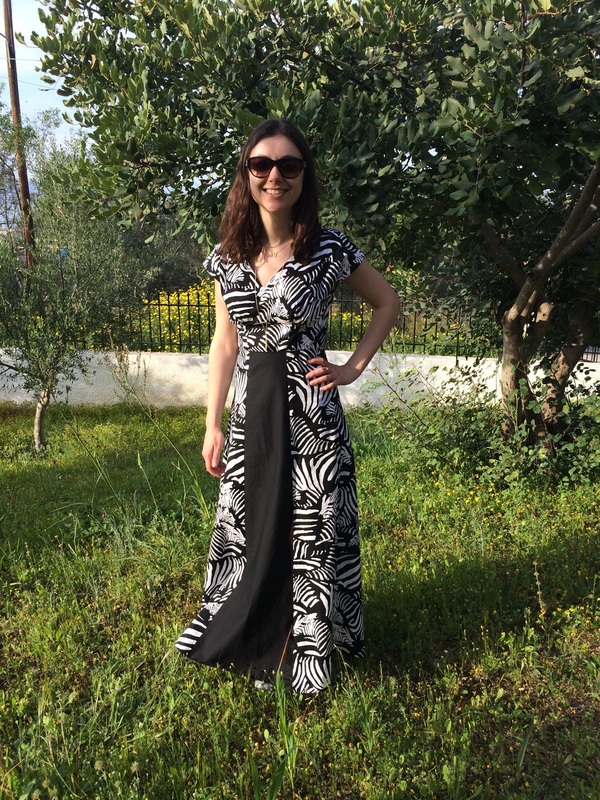 My third pattern from ByHand London is the Anna Dress. With summer coming, I have a gazillion versions of this dress that I want to make...but first up, a practice run of the V-neck maxi dress variation. As the cost of the dress was now cheap-as-chips (although I never seem to value how many hours I spend on my creations), I was bit quick with my stitching. I ended up with loads of puckering attaching the bodice to the skirt panels! Argh! But as I had opted for French seams with this garment, I was in for a surprise...all my puckering was hidden by the second line of stitching! Other than this little hiccup, this dress is really simple to sew up (especially with ByHand London's helpful sewalong) , and I can't wait to get started on the next one! A PERFECT FIT: I'm not normally confident tweaking a garment for a better fit, but I found it easy to shorten the skirt panels by 14.5cm (I then turned up my hem twice at 1/2 inch each time), and then to reduce the back by tapering in the top of the zip by about 1/2 inch each side of the zip. REDUCE AMOUNT OF SKIRT FABRIC: A possible adaption for my next version might include taking in the bottom width of at least one skirt panel (by an inch or two). It may just be the way the crisp fabric falls, but I feel that there's a bit too much fabric floating around at my feet). ....maybe I should stop there for now!